In our last blog post, we talked about algae. This time, let’s look at a related problem: moss. Moss is similar to algae because it affects roofs in cool, wet, shady areas. Besides that, it seems like the opposite of algae. Algae looks bad, but moss can look quaint and antique. And while algae doesn’t harm shingles, moss, unfortunately, does. Moss acts like a sponge, absorbing and holding water. In the winter, the wet moss sitting on your roof expands and contracts, dragging granules off the shingles and eventually tearing them open. Moss also grows at the edge of shingles, and slowly grows up under them, separating the shingles and allowing water underneath. This will rot your roof and can even allow leaks into your home. You can prevent moss growing on your roof by keeping trees trimmed back from your roof, and keeping your roof and gutters clean so water drains off your roof correctly. 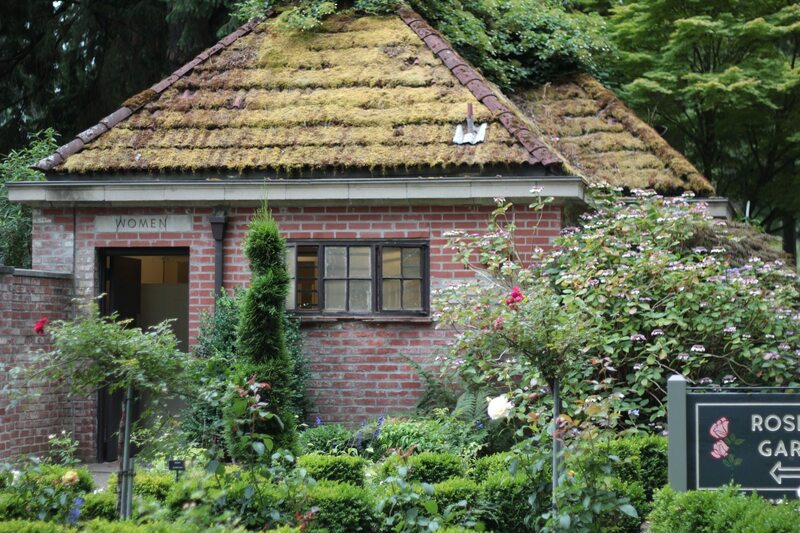 If your roof has small patches of moss here and there, it’s probably not too late to clean it off and save your roof. 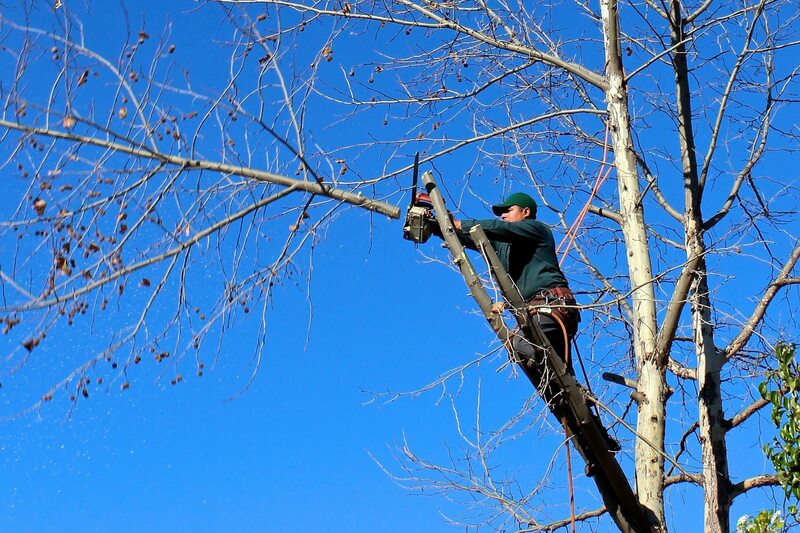 All of those methods will damage shingles – the moss will remove shingle granules as it comes off. Instead, the Asphalt Roofing Manufacturers Association recommends applying a 50/50 water and bleach solution and then rinsing it off after twenty minutes. After that, the moss slowly loosens and dies, and then you can remove it with a leaf blower. 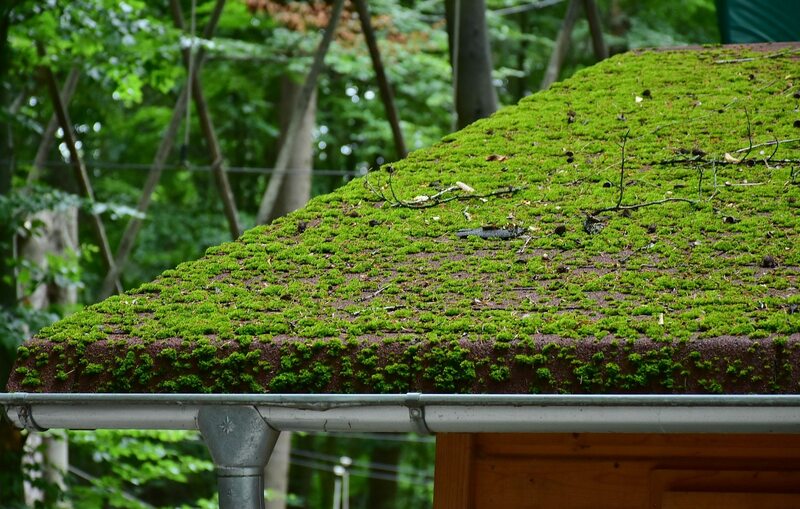 If your roof is covered with thick moss, it probably needs to be replaced. If you’re not sure how advanced your moss problem is, a professional roofer can inspect your shingles and see how bad the damage is. If your roof does need to be replaced, make sure you choose a reputable local contractor with good reviews who works with your needs and concerns. Check out this blog post about what to expect from the reroofing process for more info. If you have any questions about moss on your roof, please contact us. If you’re in our service area, you can request a free estimate to learn about replacing your roof.